Is This Self Prescribing OK? The patient I saw in the clinic yesterday has fully embraced the Virginia senate’s unanimous vote decriminalizing medical marijuana it would seem. Edward C. was my first patient, being seen for the first time. “He uses quite a lot of marijuana” the nurses who checked him in told me. “He smoked some this morning” she told Aaron, the scribe, and I, with a bit of a devilish smile. Should I Be a Herbalist? “Did he bring some for us?” I asked facetiously. Then it was time for us to “open the box” and see what awaits us in the exam room – always an interesting moment. Something of a Pickwickian habitus, Edward C. sat looking relaxed on the end of the exam table. He didn’t take any medicines. For his neck pain “I just smoke weed” he told us. “Medical marijuana is legal in Virginia now” he added enthusiastically. He is sort of right. 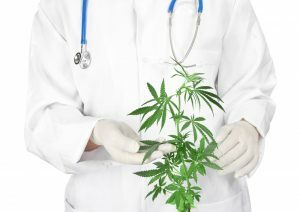 The Virginia Senate and House voted that patients would have an “affirmative defense” that decriminalizes prescriptions for CBD oil (a carefully extracted oil of hemp that “does not produce a high or psychoactive effect”) or THC-A oil (tetrahydrocannabinol in the non psychoactive, acid form) for any illness. Thus brining us a little closer to legalization. “So it’s medical marijuana?” I ask him. “Yup” he admits with a slightly goofy grin. Innumerable people self prescribe ibuprofen for example for their arthritis and general aches and pains; take stomach medicines like omeprazole for dyspepsia; take anti-allergy pills like Zyrtec for their hay fever, and so on – often on a daily basis, year round. I’m not sure that Edward C. is quite within the strict confines of what Virginia has decriminalized with a miraculous, unanimous vote of 40 to 0, in the senate last February. I am all in favor of people making decisions about their own care, and I have no doubt smoking weed helps his neck pain, but I’m just still wondering if it’s OK for him to be self prescribing this “medicine” on a daily basis?